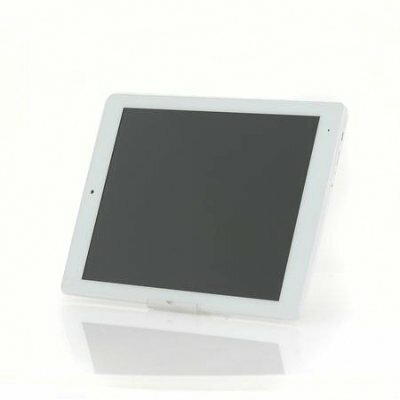 Successfully Added 9.7 Inch E-Ceros Revolution 2 3G Tablet - 2048x1576 Retina Screen, Quad Core 1.8GHz CPU, 2GB RAM, 32GB Internal Memory (White) to your Shopping Cart. The E-Ceros Revolution range of Android tablets is here to stay and have just been upgraded to offer even more for your buck. The Revolution 2 3G is set to take on leading brands as it boasts the latest and greatest E-Ceros have to offer. A 9.7 inch retina screen will with vivid colors, great pixel density and high definition shows images in all their glory and detail at 2048x1576 resolutions. IPS technology ensure wider viewing angles and 10 point capacitive interactions makes it respond to any of your digits or all of them at once. The Revolution 2 3G tablet achieves a stunning performance courtesy of the 1.8GHz quad core CPU and 2GB of RAM, which when combined with the Mali-T7 GPU allows this tablet to run the latest games and play videos with easy. Having an 8000mAh battery means the Revolution 2 3G can be used for up to 7 hours before it needs a recharge which should be plenty of time to enjoy films, games or even surfing the web as 3G connectivity is possible. Coming with a Huawei UltraStick 3G dongle, you can put in a compatible SIM card and enjoy 3G downloading when you’re on the move, so even if there is no Wi-Fi you can still access your e-mails, Facebook page, check twitter updates or download movies. Android 4.4 is the operating system of choice and with features like Google Now, message consolidation, Immersive display, full page music and movie art and countless customization options you perhaps the most versatile and intuitive system available. Access to the Google Play stall is easy as its already installed and this will let you fill the 32GB of internal memory with a variety of apps to chose from, If you need more space for movies or games then you can take advantage of the micro SD card slot that supports cards up to 128GB. This product is in stock now, we guarantee next working day shipping and offer a 12 months warranty on all our products. 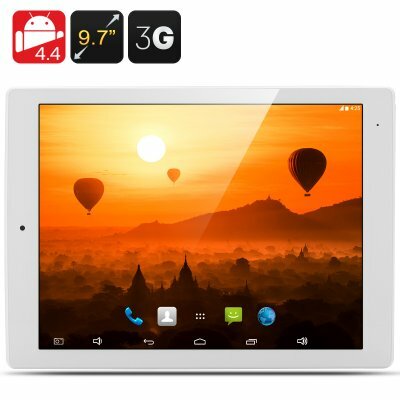 Brought to you by the leader in electronic devices and wholesale Android tablets, Chinavasion. My previous testimonial was for the purchase process and shipping which was perfect, faultless, safe and super fast; in fact I am so impressed by Chinavasion and the e-Ceros revolution 2 that I purchased a second tablet for my daughter. We are both delighted with the quality of this tablet, which in my opinion is as good as if not better than either a top of range ipad, windows or big brand high end tablet - ps for which you are subsidising their massive marketing budgets!! - if you are thinking of buying this then go ahead you will be delighted with the whole transaction - and shipping through DHL, the second tablet did not have any import duty attached either. Very very pleased. None! superb customer service and an all round perfect transaction. Expectations surpassed! This is an absolutely amazing piece of kit, starts up quickly, superb screen, very responsive, colours vibrant and text crisp and clear, and the speaker sound is clear with good tonality. Very very pleased with purchase. Excellent purchase right from the start, smooth transaction, fantastic logistics and communications, super fast delivery, beautifully packaged, lovely to use. So as you can tell I'm delighted! I also had excellent comms with the manufacturer when I asked a question relating to the micro SD capacity and their recommendation. I have been very impressed with this purchase. Initial review only to Order processing and dispatch - A faultless purchase! very smooth and efficient safe and secure transaction, excellent communication with Chinavasion support. I ordered this on Sunday from China and it was delivered to my house in UK Devon today before 10 AM!! absolutely fantastic logistics AND nothing to pay for customs/import PERFECT - Thank you Chinavision, great friendly people and outstanding customer service. I work away from home and will review this purchase next week when I get back, if the functionality meets the logistics superb service (and I am sure it will) then my next review will be just as positive and grateful, truly a world class service, many thanks. It is a good choice for purchasing this device! Looks beautiful, it has a Really fast cpu and WiFi range is good :) Camera quality is OK but I downloaded an app for more camera options. I ordered it from Canada on Sunday and on Thursday I got it. At the door i had to pay to DHL for customs taxes. Je suis très contente de mon achat. Très belle finition, facile d'utilisation. Droit de douane de 35,80 euros.